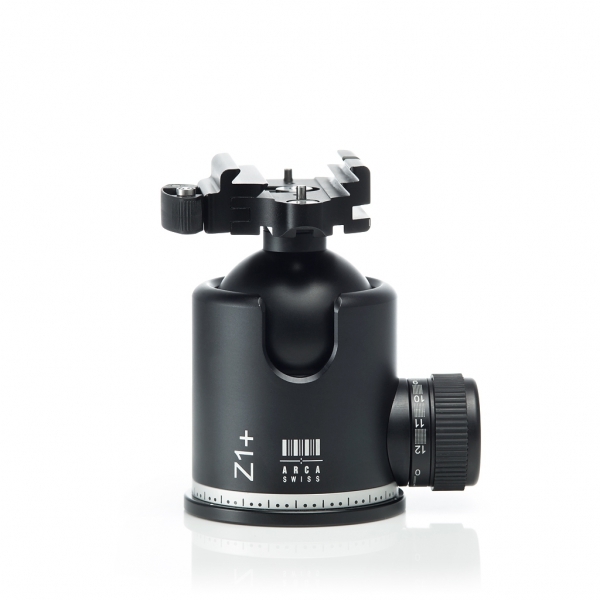 The ARCA-SWISS D4 Tripod Head with Classic Knob Quick Release is a symbiosis between a spherical head and a 3D tilt head, and has the combined advantages of both systems in one head. 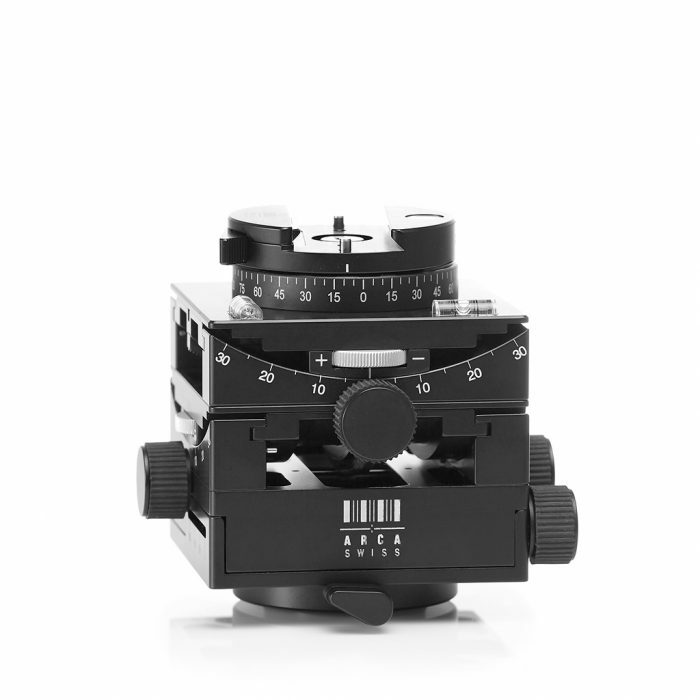 The head features both top and bottom panning devices for accurate rotational stitching. 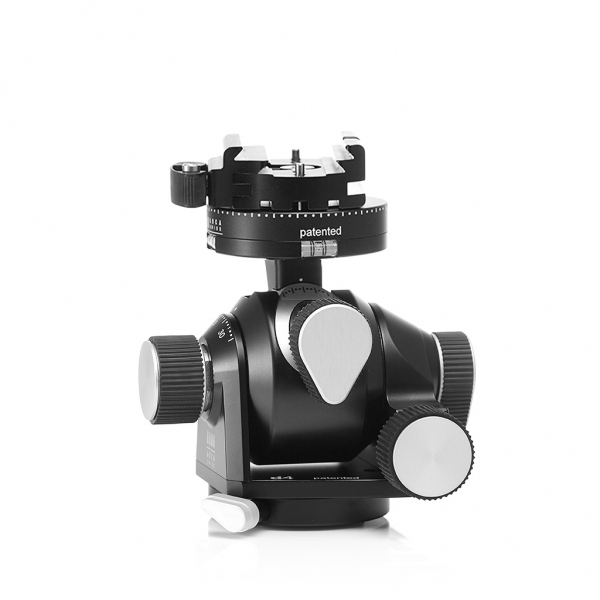 The ARCA-SWISS D4 870103 and ARCA-SWISS C1 cube with their unique design and innovative construction have been further developed and are now available with a gear driven self-locking panning device situated underneath the camera quick release, for secure and precise positioning. 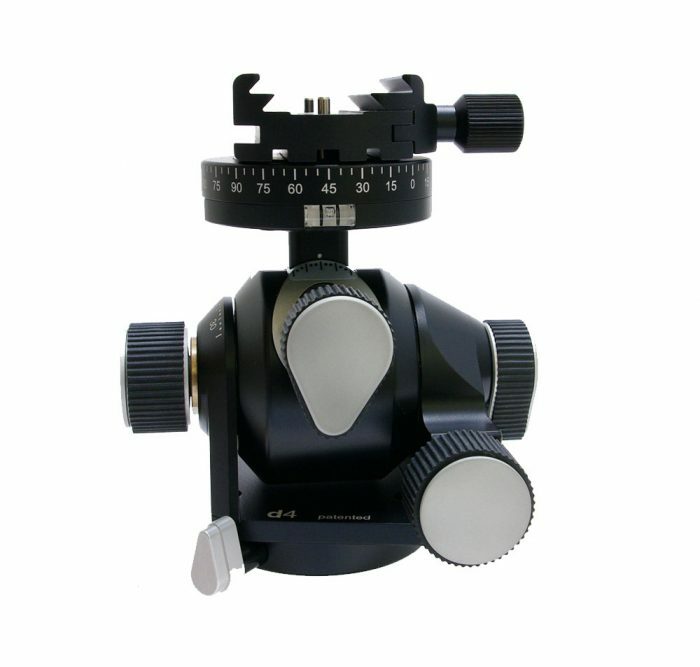 ...ARCA-SWISS Monoball Z1g+dp "Flip-Lock" Heavy duty ball head. 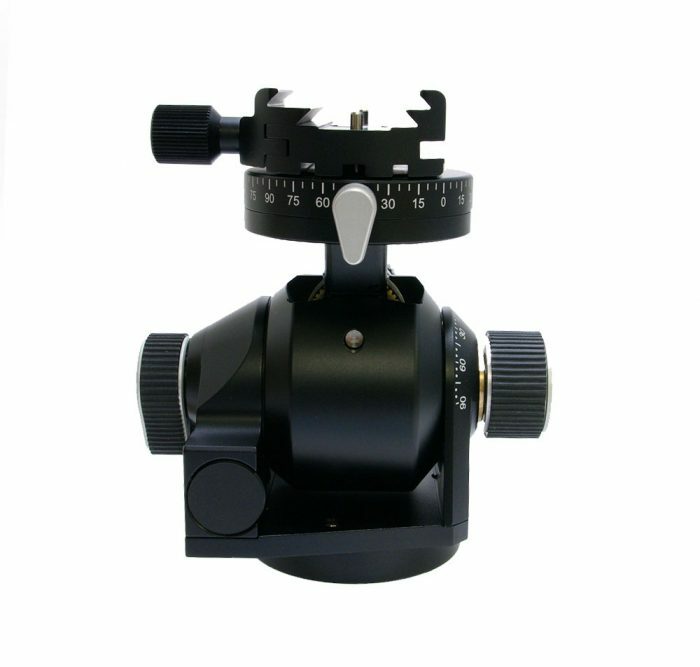 In 2006, ARCA succeeded in improving the monoball even further by introducing the Z series to replace the now legendary B series. 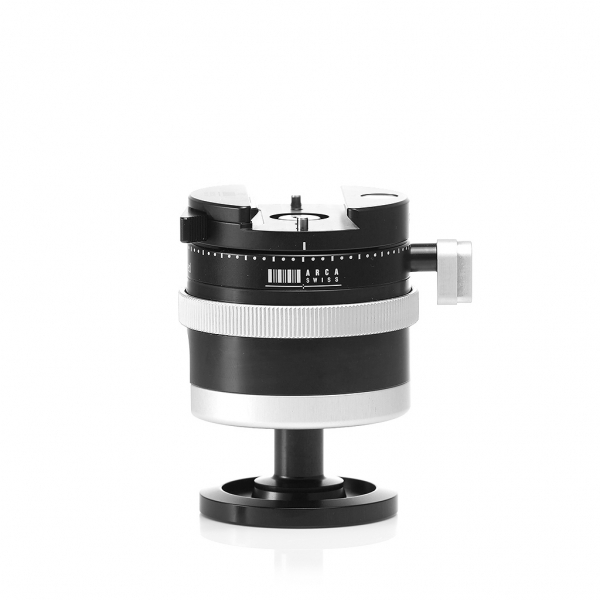 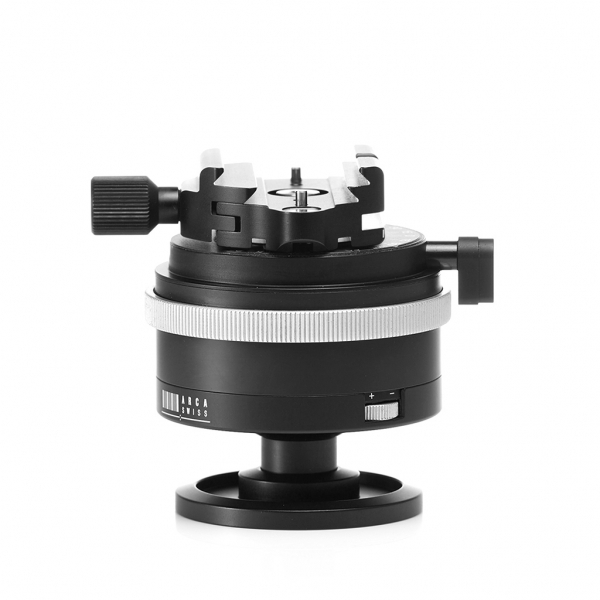 ARCA-SWISS d4m (manual) Quick set device Monoballfix combines the features found on both a three way pan and tilt and monoball heads.